We are the originator of solar swimming pool heatings in Europe and as a family company we build solar absorber systems for pool heating with award-winning quality since the 1970s. Through pioneering and inventions, we were able to open up a market which had not even existed! 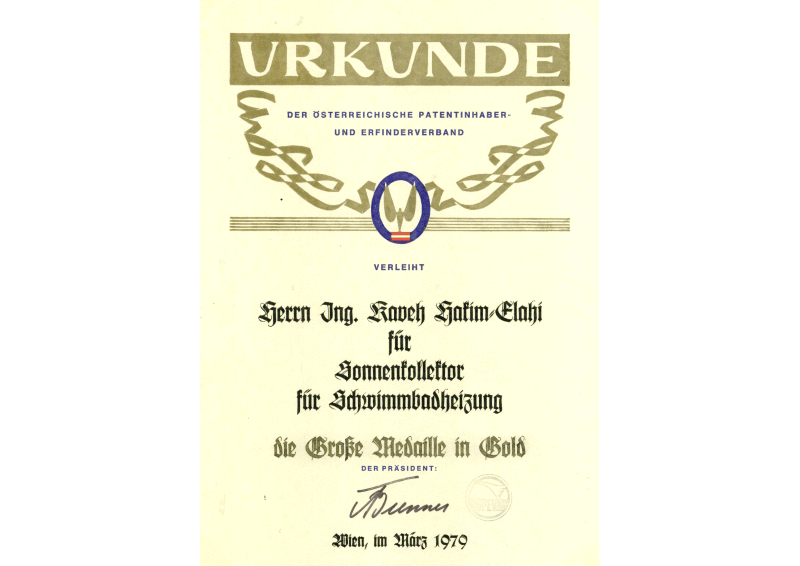 Already in 1979, we received the honorary award of the Republic of Austria conferred by the Federal Minister for Trade as well as the Grand Medal in Gold of the Austrian patent owner and inventor’s association, and for the first time we received attention for our “solar collector for swimming pool heating” from professional circles. Our customers had long since been convinced, because the sun cannot be used more efficiently! Finally, through this fruitful combination of manufacturer and customer, we succeeded in the need-based further development right up to the currently most installation- and customer-friendly solar absorber on the market. We take note of the fact that our competitors have ever since tried to copy our system and thus admit our merits. Of course, the true award for our work is a satisfied customer. They also quickly recognize the difference between the original MITRA system, which contains a lot of development work as well as engineering skill and an inferior copy. 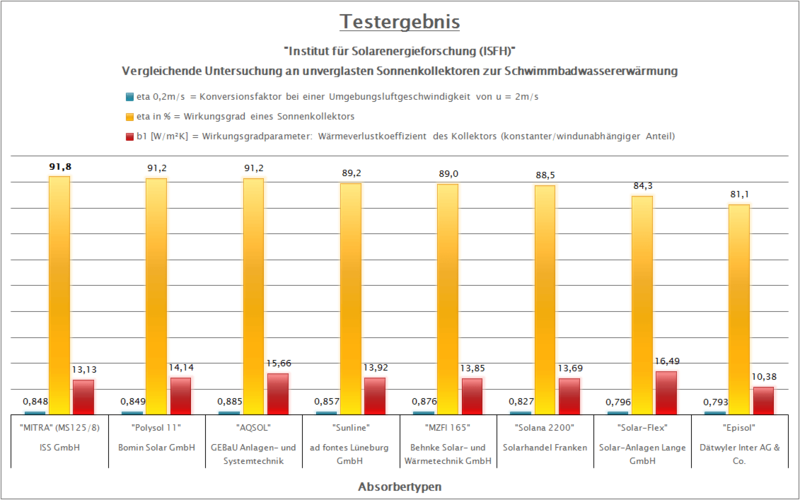 Our MITRA solar absorber has an efficiency of 91.8% Eta and thus won the large absorber comparison test of the renowned „Institute for Solar Power Research (ISFH)“ in Hameln. Even when the sun is low, the arrangement of the fluid channels prevents every tube from shading down on the neighboring tube. The solar radiation can thus be absorbed directly by the absorber tubes regardless of the sun’s irradiation angle. No roof is the same. That is why there are no standard or special sizes. Within our size range, any size and shape can be realized, individually pre-assembled according to your wishes. Because of our modular design and the plug connection of our collector pipes there is no free space between the absorber fields. With MITRA solar absorbers 20m² occupied space is also 20m² utilized space. The piping (inlet and outlet) of the absorber on only one side always ensures the shortest path to the filter installation. Your advantage: no additional pipes on the roof. This saves costs and simply looks better. The straight end on the water reversal side is visually appealing, easy to attach and unobtrusive compared to end loops. The aesthetically and technically perfect solution. The mounting of the absorbers with MITRA mat holders including expansion loop, allows a quick disassembly of the solar absorber if necessary. Thanks to our mat holder system, the absorbers can be attached easily, comfortably and safely on any kind of inclined roofs. In case of possible roof restorations (brick replacement, sealing, etc.) 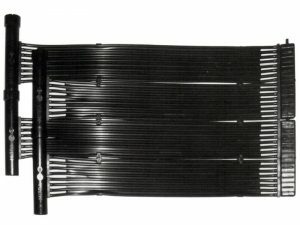 the absorber can be disassembled in the shortest time possible without damaging the absorber or the roofing. Our MITRA solar absorber is a product for the most demanding requirements with an efficiency of 91.8% Eta, which has been determined as test winner by the renowned “Institute for Solar Energy Research (ISFH)” in a, up to now, unique absorber comparison test. 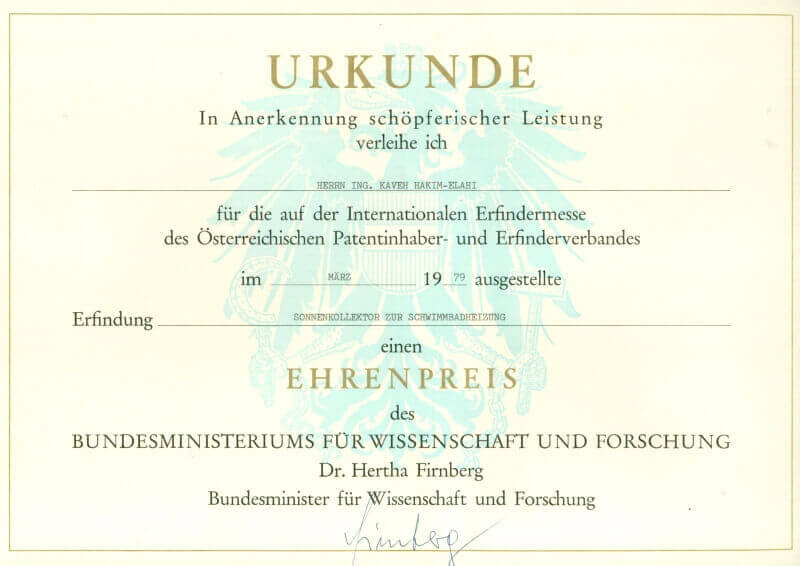 The “Institute for Solar Energy Research (ISFH)” and the “IST EnergiePlan GmbH” as its co-operation partner carried out extensive tests and measurements for a total duration of 2 years and 6 months on behalf of the German Federal Foundation for the Environment (DBU). The purpose of this study was to determine the wind-dependent efficiency curves with the aim of subjecting the absorbers relevant to the German market at that time to a comparative test. This made comparable data based on international standards about the performance and pressure loss of swimming pool absorbers available for the first time. In order to test the thermal performance, the pressure loss and the usability of unglazed collectors, the new test standards EN 12975 were applied to a larger extent for the first time. The high performance has proved to be convincing and the many years of positive experience with this technology have been confirmed in the reliability test. "I am using a MITRA solar heating system for swimming pools, not least for scientific reasons. I am particularly satisfied with the extended bathing season for many weeks, the ease of operation and the performance of the electronic control unit. The integration of the system into my swimming pool was very easy. This also applies to all measures for wintering in autumn and recommissioning in spring. 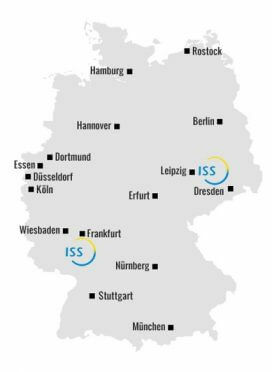 For these reasons a MITRA solar system for swimming pool heating from the company ISS can be highly recommended particularly because of the possibility to save fossil fuels."